Evomotion, LLC, has launched its revolutionary Wunder360 C1 360-degree camera available at www.wunder360.com, enabling anyone from novice photographers, outdoor enthusiasts, professional photographers or extreme-sports athletes, to produce well-edited video clips with easy-to-use, click-to-play in-camera capturing and editing features. What is really cool about it is that it is simple to use and that it has so many features! Together with the Wunder360 C1, Evomotion introduced ViewPilot software technology which empowers anyone without a professional knowledge base to easily create pro-like video clips. Users will never miss a single unplanned moment with panoramic 360-degree full-scene capturing. In addition, flat clips focusing on selected people or objects can be automatically generated from 360° footage with a few swipes or even just a tap. What’s more, the smart stabilization algorithms keep your perfectly framed videos dramatically sharper and smoother making projects that traditionally take hours, complete in just seconds. The Wunder360 S1 AI camera, a dual-lens 360°camera with 3D reconstruction, real-time in-camera stitching, and deep learning AI technology that allows AR/VR developers to easily develop 3D content. 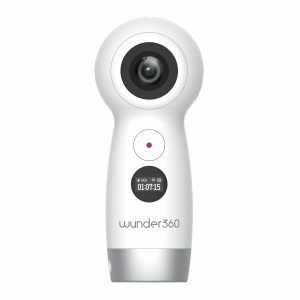 The Wunder360 S1 is a compact camera with AI that allows users to easily capture their environment and transform it into 3D models. Avid gamers can download their 3D models and import them into games like Minecraft, allowing them to share their models with other players. The Wunder360 S1 can also be used to develop AR/VR content by allowing users to take their footage and convert it into 3D models. The in-camera stitching also allows VR/AR developers to easily create immersive content without relying on photo stitching software. With its compact, easy-to-use design, the Wunder360 C1 provides consumers with high-end professional-grade camera technology, high image quality and feature-rich enhancements unmatched by other offerings on the market today. Plus, the camera’s 360-degree capturing does away with the extremely limiting viewfinders and lens angles of traditional cameras. With Wunder360 S1, Evomotion has created a camera that is easy to use and includes the capabilities of traditional 3D scanning products at a quarter of the cost of current devices on the market. By using AI and computer vision, they have successfully created a camera with ease-of-use and a better user experience, meaning Wunder360 users can spend less time editing their footage and allow the camera to do the work for them. Evomotion was founded by Lufang Gao in 2015 and is one of the leading deep learning and computer vision combining hardware solution providers in the industry devoted to bringing highly efficient and accessible 3D scanning technology and cloud services to every organization. They currently concentrate on areas including panoramic cameras, AR/VR, 3D reconstruction, surveillance IP cameras and mobile handsets. The team is made up of the very best in computer vision, consumer electronics, augmented reality, and artificial intelligence – from INRIA, NVIDIA, Intel, MindRay, Huawei and China Telecom. Evomotion has raised more than $5 million backed by top-tier VC’s like NLVC, Fortune VC and ThunderSoft. Self Disclosure: I received a free sample to facilitate this post. 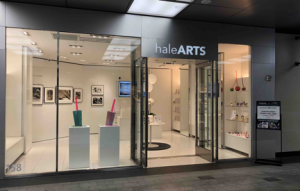 Images and Information were also provided. No compensation was received otherwise and I only feature products that I would recommend!